Buy More Flora Satin Pull Bows Save More! 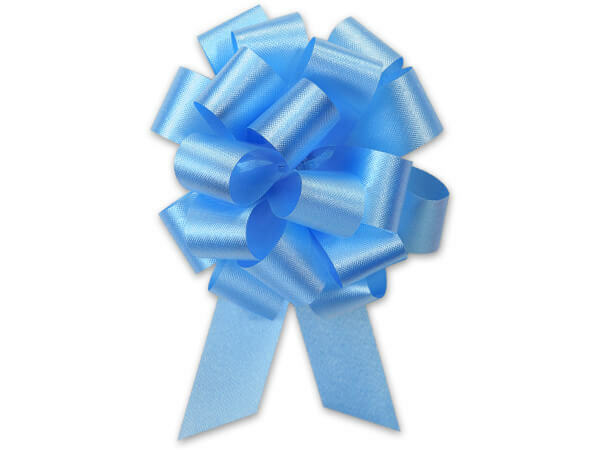 Light Blue Pull Bows make the perfect bow every time. Bows measures 5.5" across when complete and has 20 loops. 100% Polypropylene Flora Satin Ribbon. Ideal for gift baskets and gift packaging. A perfect bow every time! Gift bows are available in several sizes and colors and are packed 50 per box. No cumbersome rolls to deal with!